Virtual World is a virtual imaging service provider that delivers interactive solutions for a wide variety of applications in the travel and tourism sector. We combine expertise and technological wizardry to create stunning, award-winning virtual tours. Try our latest technology of 3D virtual tours, including dollhouse view and floor plan. These 3D experiences are so real they will enable your clients to fully immerse themselves in a walk-through of your property, hence giving them an accurate view of your accommodations and amenities to make them feel as if they are already there. These 3D virtual tours can easily be embedded into your website, and are fully compatible with any computer or mobile device. Your 360 virtual tours will be published to google maps for maximum visibility and will also appear on Google Street View Trusted. Founded in 1995, Virtual World is a virtual imaging service provider that delivers interactive solutions for a wide variety of applications in the travel and tourism sector. Our company specialises on delivering the highest quality visual experience for the following sectors Travel & Tourism / Hospitality / Hotels & Resorts / Casinos / Airline / Cruise / Rail / Car Rental / Spas. We are headquartered in London, UK, and have an extensive global network of approved virtual tour developers, photographers and designers. 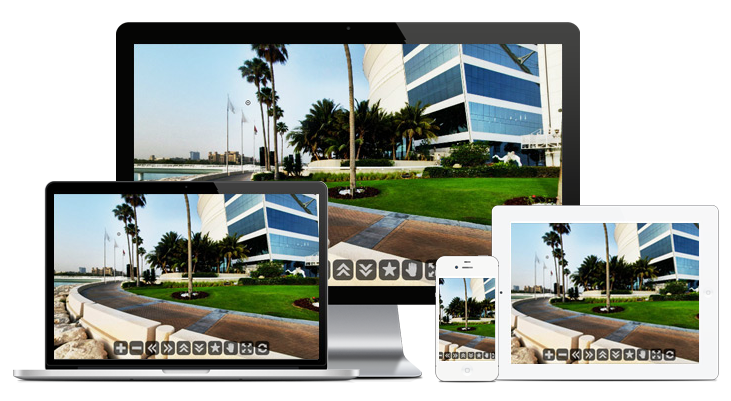 Using this network and combining it with our mobile development studio, we are able to deliver a comprehensive and rapid virtual tour solution to anyone, anywhere. Virtual World designs, develops, hosts and markets high-value visual content. 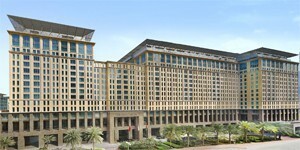 We have a proven track record of delivering world-class solutions to world leaders in travel and destination marketing. We place particular emphasis on developing intuitive, easy-to-use solutions for our clients and their customers. 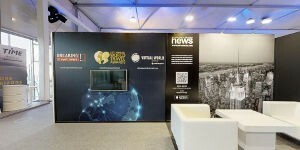 Virtual sites have played a major role in creating the virtual tours experience worldwide and is leading the development of the next-generation Visual Information process. If you are considering the development of an interactive virtual tour, please join the Virtual World and see how we can make a REAL difference to your marketing & advertising strategy. Virtual World is proud to work with some of the world's most significant brands that have entrusted to us the task of staging, shooting and fulfilling their virtual needs showcasing their properties and products to the world in a stunning digital format. We fully appreciate that every shoot is different and work on all the necessary details with those responsible until we are both happy with the planned shoot and format. It is only then, that the team will arrange the dates and details of the shoot, the length of time required to complete the shoot and the number of staff required. Each bespoke shoot takes a good two weeks before it is ready for the client’s final approval before it goes live via the Internet to the world at large. Virtual tours allow audiences to experience for themselves what it is actually like to be there. Through the power of HD Virtual Tours & Videos, audiences can step outside of their current location into a new destination and feel what it is like to actually be there and encounter what the organisation can offer to them in real time. Our vision is to offer this priceless feeling to your future customers. Through Google maps, we are able to promote a tour of your property or business to those seeking information on the area or destination. Google maps has established itself as a vital tool for todays travellers, with one in seven of the population using the service, we aim to get the details of your property into the hands of the very people you are seeking. People want to see more than just static imagery of a property, they want to see a virtual tour of the facilities that your business offers. So let them into your property, show them around. In today's fast changing digital world, it's vital that your business meets the needs of your future customers, today, more than at any other time. With a dedicated project management team assigned to each client, we can ensure the end outcome will be a stunningly high-end product. Having access to specialist consultants with technical as well as creative skills & the latest movie production software / equipment means that we are leaders in the industry. Includes use of our high end production equipment: 72 shot HD digital cameras, HD Video cameras, tripods, lighting red heads, rigs, image stitching software, for both acquisition and post production, together with a team of experts that will provide a plug in for any production company. Today you have to engage with and meet the needs of your customers, but equally important, you have to meet the needs of their social groups. Through social media, sharing and instant messaging, the information that they see and consume, can easily be passed around the Internet in varying ways. Virtual tours are easily shared, passed on and sent viral through social media sites adding further viewings of your tours from a relevant audience. We have a wealth of experience in developing virtual tours for worldwide markets including Hotels & Hospitality, Conference & Events, City Guides, Sports & Leisure, Aviation, Car Rental, Corporate Property & Office buildings, Museum, Galleries & Heritage. The quality of each and every virtual tour is remarkable, the experience is one that people have already shown to want to share and discuss amongst their group of friends and colleagues.